E-mails to magazines or MPs, opinionated blog posts, etc. This post originally appeared on the A Focus On Nature blog on 24th December 2016. Welcome to our 2016 Advent Calendar series (#AFONAdvent)! This year, our theme is “The Gift of Inspiration”. For each day, one of our members has written a blog post about someone who has inspired them, and how that inspiration has lead to them being where they are today. Each member is a shining example of a young person who is acting Now for Nature. We hope that you enjoy the series and have a Merry Christmas and a Happy New Year! I hadn’t realised what a difficult challenge I had set the writers in this Advent series until it came to writing my own post. Should I opt for my parents, as they brought me up as an outdoors child – kayaking, hiking, watching birds? Or the legendary David Attenborough for all the reasons ever? What about colleagues from my career so far? I have certainly been inspired by them! I needed to be logical about this and follow the the Now for Nature theme. What am I doing right now for wildlife and the natural environment that has been inspired by a particular person? And then there was only one choice, and you all know who she is – AFON’s founder and former Creative Director, Lucy McRobert. I first met Lucy at the AFON conference in 2014 and I was immediately impressed by her energy, enthusiasm and drive. Here was someone that was truly making a difference. Through her work, AFON has grown to be the largest youth nature network in the UK, with members invited to the launches of reports, to give presentations at conferences (including Susan Jones speaking as the support act to David Attenborough) and consulted by conservation organisations on how best to engage young people. Members of AFON are part of a special community and network, providing support and enabling confidence. I don’t just say all this for the sake of it – I speak from personal experience. I wouldn’t be who I am or where I am today without being part of AFON. It isn’t just Lucy’s AFON work that inspires me. 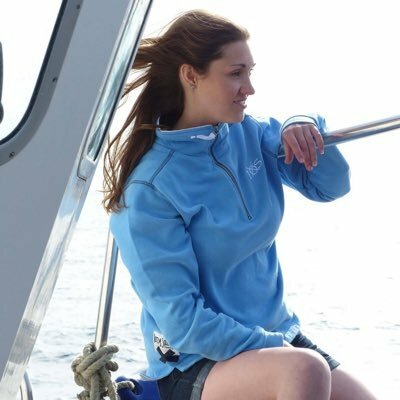 In her employment as Communications Manager for the Wildlife Trusts, she has run the inspirational 30 Days Wild campaign, brightened up the social media accounts of the Wildlife Trusts (including “salacious live tweets during Springwatch and Autumnwatch” – Adam Cormack’s words, not mine), been a key part in the campaign to protect the Nature Directives, written a range of fabulous articles, and generally been an inspiration and a supportive colleague to those she works with. On a personal level, Lucy has been an inspiration as well. I am thrilled and honoured to count as her one of my close friends. She is an excellent and no-nonsense birder. Her unbridled passion for wildlife, exemplified by having her hen do on the Isles of Scilly, has reminded me that it is ok to let my own passion shine through. Lucy McRobert’s inspiring influence has led me to pursue a career in communications. This career path was first prompted my Skills for the Future traineeship with Dorset Wildlife Trust (funded by the Heritage Lottery), and it has been a growing part of my life as I have tried to include it as much as possible within each successive employment role. In August 2015, I became the Online & Social Media Manager for A Focus On Nature – a role that has been thrilling and challenging in equal respects. From planning the launch of the Vision for Nature report (FYI, the hashtag trended on Twitter, one of my proudest achievements), to acquiring review copies of books for our members to review, through to co-ordinating the Advent Calendars – this role has kept me incredibly busy and I have gained so much from it. As a committee member, I am also involved with the running of AFON which has included sourcing different opportunities for our members, organising the occasional event, representing AFON at workshops and conferences, and generally trying to help with the exponential growth and wonderfulness (yes that isn’t a word, but I’m using it) of the group. And now, I’m moving into the next stage of my communications career as an assistant at a wildlife magazine! I truly believe that if it hadn’t been for Lucy McRobert’s influence within my life, both professionally and personally, I wouldn’t be embarking down this wonderful road. So I have one thing left to say – thank you Lucy. Thus far the Season anthologies from E&T and The Wildlife Trusts have been wonderful reads, and when Winter alighted on my doormat, I had my fingers crossed for more literary delights. I always struggle with winter as a season. Suffering from Seasonal Affective Disorder for years, and more recently, year-round depression, winter is a difficult time. The light is minimal, the temperature bitter and there are no insects to cheer me up. I was hoping that the Winter book would help to remind me of why this frosty season is actually worth appreciating, and perhaps even worth looking forward to. I am sure that the editor, Melissa Harrison, spent a long time deciding which order to put the chapters in. However, as with the previous books, I couldn’t resist dipping into a random chapter within the book each time I picked it up. Each chapter is an aforementioned literary delight, and there are different styles throughout the book – diary entries, letters, poetry and prose. Reading through the chapters, there were sentences that struck a chord. Be it amusing, or philosophical in tone, each of these phrases resonated within me. Some brought memories to the fore – when reading the passage featured above by Henry Williamson (Tarka the Ottter), I was transported back to exploring the sand dunes of Kenfig NNR in south Wales, hearing the wind whistling through the grass and the dunes. In contrast, Richard Adams’ phrase about wild flowers made me smile and almost laugh out loud, even though I was on public transport at the time. And how true his words are, I remember taking part in BSBI’s New Year Plant Hunt and the pleasant surprise of flowers in bloom despite the frosty cold spread across the landscape. One particular sentence that resonated was this by Elizabeth Guntrip; “In nature, in solitude, I find an inner strength.” With recent turnabouts in my own life, I was struck by how true this sentence was for me, and how often I have turned to nature in the past few months for that strong feeling of connection that grounds me and firms my resolve. One of the most enthralling delights of this book (and those before it), was discovering the creative talents of friends. I read with intrigue and suspense as Lucy McRobert (Founder and former Creative Director of AFON) writes “Then, without pomp or fanfare, the spectre appears unannounced, materialising from the marsh”. A few pages before, I had giggled to myself trying to imagine the self-described “pimply over-excited teenage naturalist in the summer of 1985” of her husband, Rob Lambert, when meeting Sir Peter Scott. In other chapters, I stepped beneath the boughs and met woodland creatures accompanied by Tiffany Francis, and felt warmed by a mug of soup and the marine treasures with Sophie Bagshaw. In case you hadn’t guessed, I have vastly enjoyed reading Winter and in doing so, I have been reminded that this season of cold sunlight and long nights is actually a beautiful season in its own right. I look forward to going into this coming winter now, in the knowledge that there is interesting wildlife and stunning landscapes to find and appreciate – as long as I remember to wrap up warm! Suffice to say, the Seasons anthologies are different amongst my favourite books and not just because I have chapters in two of them. Each one is a world to enter and explore, to read about familiar and unfamiliar experiences. I can’t help but compare the chapters within these anthologies to wine tasting. The initial opening of the book to a chapter, is that swirl of the wine in the glass, odd words catching the light within the depths of the text. Your eyes settle on the first paragraph, and you visually drink in the words, discovering the aroma of the particular chapter chosen. The following paragraphs are the sips, where you swirl the words around in your mouth, certain phrases seemingly like the deep fruity notes of wine. Here the analogy falls down slightly, because you don’t spit out the final part of the chapters as in wine tasting. However, I dislike spitting out wine anyway so on a personal note, this analogy still works for me with the final paragraphs swallowed enthusiastically, leaving the aftertaste on your tongue. You long for more, perhaps going back to try out that chapter again, or moving on to something with a different flavour. When reading these books, especially if I’m in the city at the time, I ache to be outside somewhere wild and glorious – be it running through wildflower meadows or dipping my toes in the sea. Reading other reviews, and discussing the anthologies with friends, I know that I’m not the only one to feel this way and I am thoroughly impressed by everyone involved for creating such wonderful books. And I am grateful to them for doing so. If you’ve met me in person, you will know already that I can be rather opinionated. Particularly if the topic is concerning nature, feminism or cakes vs biscuits. Since my blog is about nature, I tend to only comment on the former here. Although I am willing to respond to queries about my thoughts on the latter two topics as well. I am all for calling on the government and organisations to sort themselves out when it comes to wildlife and environmental protection, so when I head about the proposal to build a 6-lane motorway through the Gwent Levels, I was horrified – and relieved that there is an opportunity to let the government know my opinions on the plan. I have personalised my response (see below), as I lived in south Wales for a year and I know how wonderful this wildlife is. Send your response too! Re: M4 Corridor around Newport. Formal objection to draft orders – please forward to the Welsh Government. I am writing to strongly oppose the Welsh Government’s proposal to divert the M4 motorway through the beautiful Gwent Levels. 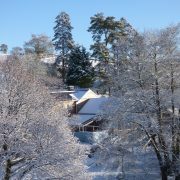 A few years ago, I lived in south Wales and it was one of the best years of my life. I discovered the beauty of British wildlife there, from the humble cuckooflower to the majesty of red deer. I wouldn’t be the naturalist and conservationist that I am today if it hadn’t been for that year. During this year, I worked as in environmental education, helping local children to discover the beautiful and special wildlife on their doorstep. The beautiful and special wildlife that you are proposing to destroy with this motorway. It breaks my heart to think of all the animals and plants that will be affected by this plan. I understand that something needs to be done about the M4, but this motorway through the Gwent Levels cannot be the answer. I urge you to respect the protected environment and wildlife of the Gwent Levels and stop this new road from being built. We need investment in a Wales that is fit for future generations, not one where our health, well-being and environment are put at risk. Please ensure the Welsh Government receives this email so my objection will be considered and counted. As you will know from my blog posts this week, I had a fantastic, busy, inspiring, wonderful time at Birdfair. My earlier posts covered what I got up to on each day, but I wanted to do a post that looked at Birdfair overall and my thoughts on different aspects of it. Well I was blown away by the number of exhibitors! I knew there would be many, I had been forewarned. But I was still shocked and amazed, and I definitely didn’t manage to see them all! I did get to visit a number of key stalls that I wanted to – Richard Lewington in the Art Marquee, BBC Wildlife Magazine, Butterfly Conservation (of course! ), amongst just a few. I was astounded by the number of wildlife holiday exhibitors, and could only daydream about such holidays. However, Matt and I did pick up a few leaflets on France and the Pyrenees, maybe in the near future? For the food exhibitors, it was a touch expensive (1 crepe for £4.50?!). However, that was to be expected really. It’s a shame there was nowhere to get tap water (that I knew of!). How many plastic bottles were unnecessarily bought and discarded that weekend I wonder? I took two (reused) bottles of water with me each day, but still ended up having to buy a bottle when it was very hot on the Saturday. Also, on the issue of food exhibitors and waste. I saw a LOT of plastic cups! True there was plastic recycling, but surely there must be better alternatives? Then again, maybe there aren’t? It was fabulous to have a local produce marquee – super yummy baked bread, scrumptious cheese and, of course, the beer! Apparently this tent was new this year? I thoroughly recommend that it gets repeated at future Bird Fairs! Gosh what a weekend it was for meeting people! Whether it was people I had met before and hadn’t seen for ages, people I had talked to on social media but not met in person, or people that I had heard of but never interacted with previously. I caught up with friends, and made new ones, met celebrities from the TV and the conservation world. Basically, I talked a lot! And it was fantastic! I didn’t manage to catch everyone that I wanted to of course, the weekend was too busy for that, I doubt I could’ve done so even if I hadn’t gone around stalls or gone to talks! There were three things I noticed at Birdfair. Prior to Birdfair, they were publicising their celebrities page. Do go take a look at it, and tell me what you see. Mostly men! There is one female featured (and she deserves to be, Angie Scott’s photos are incredible! ), but there must be more than one female celebrity in conservation that would be willing to give talks at Birdfair? Do not read into this that I think the men featured don’t deserve to be featured, they definitely do! They are all incredibly inspiring and do so much good work. But where are the women?! This theme of “where are the women? !” continues with my analysis of the Main Events Marquee Schedule. Again, do go take a look at it. Incredible speakers – but out of all three days, only ONE speaker that’s presenting alone is female, AND she is right at the end of the schedule on Sunday! If you include Angie Scott’s joint talk with Jonathan Scott, that gets you to two female speakers. By this, I am not including the debates / quizzes where there are more than three contributors / contestants on stage.The other lecture marquees had a better ratio of male:female speakers, which is a good start. Apparently the bar and the craft beer is only of interest to “gentlemen”. According to the compere in the Main Events Marquee anyway. At the end of each talk I went to, he would direct the audience to exit via the side exits, noting that for the gentlemen they could find the craft beer in the local produce tent and the bar just outside. He did this a few times, and I got rather annoyed. Women like alcohol too thank you very much! I actually went up and spoke to him about it, and he graciously apologised for making such comments. However, he kind of spoilt it when he said something along the lines of “but it’s craft beer”, to which my response was something like “… and?”. It’s true, I personally don’t like beer, but I know many women that do, so don’t isolate half your audience. He took my comments into account and didn’t repeat his sexist remarks. In fact, he didn’t mention the alcohol again, which I thought was a shame. Why not still mention the alcohol but without the everyday sexism? I didn’t meet Henry the Hen Harrier properly! I wandered past but was too shy to say hello or get my picture taken! Must do so in future! Planning – next year I shall look into what books / artwork I particularly want, so that it is less mind-boggling as I wander around! I would absolutely love to give a talk at Birdfair next year, and already have three potential topics in mind! So who knows, maybe next year I’ll be writing a review post from the point of view of a speaker? All in all, I know that Birdfair is definitely booked into my diary for next year! Having seen that the Wildlife Trusts were accepting guest posts in their 30 Days Wild blog series, I decided to enquire if I could submit one. Receiving an affirmative answer, I then pondered on what to write. How I connect with nature? The Megan & Matt Go Wild! joint-blogging? How fantastic it is to work in environmental education and show the wonders of nature to children? All good possibilities. However, an issue had been meandering around in the back of my mind for a while. I decided that now was a good time to bring it to the front and work through my thoughts on it, culminating in the blog post you see below. Originally posted here. Megan Shersby is an aspiring naturalist and science (particularly nature) communicator. She is currently based in Dorset, working as a Seasonal Assistant for Dorset Wildlife Trust. She is passionate about inspiring others to explore the natural world, and can usually be found in a nature reserve examining the local wildlife. In this blog, the last in our 30 Days Wild series for 2015, she discusses how we can inspire a generation to love wildlife. Many groups in society are overlooked or marginalise. Among these are young people, particularly those between 16-30. Politics takes us for granted as we vote less than others, and the impacts on us of spending cuts and the housing shortage are disproportionate.. Of course, it’s true, and important to recognise, that this intersects with a range of other inequalities based on gender, race and sexual orientation. But I want to focus on the age dimension here. The conservation sector, too, sometimes lets this age group fall through the gaps of its excellent work. There is much focus on connecting children with nature, and rightly so. According to the RSPB’s survey only 21 % of 8-12year olds feeling connected with nature. Environmental education makes up part of what I’m employed to do – we have a variety of school groups attending the centres. 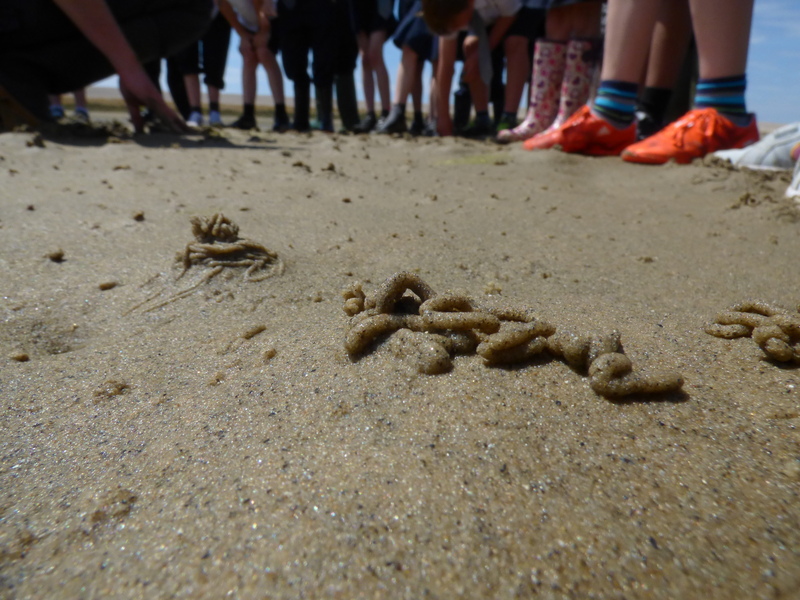 One day I will be talking about seashore wildlife to Year 2 primary school children, the next I will be taking Year 5s pond dipping and studying tree identification, and then the next, a Year 9 group discussing longshore drift. The conservation sector targets most of its efforts and messages at a few groups – school groups, families with young children, and those who make up charities’ core membership. But those between 16-30, who are often at unique stages in their lives, are often overlooked, or treated exactly the same as people of 40, 50 or 60 years old. They are not the same – these young people are these charities future members and the conservationists of the future too.. Only a few projects are in place to engage those 16-30 year olds who aren’t in young families and/or not engaging with wildlife. Lucy McRobert (amongst other conservationists) recently wrote a fantastic guest post for Findlay Wilde’s blog series called 13 Years Wilde. It is a very honest account of not connecting with nature as a teenager: “wildlife meant very little to me as a teenager”. It is quite an eye-opener, considering that Lucy is one of the leading young conservationists in the United Kingdom and works as the Nature Matters Campaigns Manager for the Wildlife Trusts. It makes me feel a little better, as my teenage years weren’t so different from Lucy’s. If even our leading conservationists and naturalists didn’t connect with nature during their teenage years, how can we hope to connect anyone else? There is no National Curriculum beyond Year 11 – and even in the previous years, there is very little room to squeeze in more nature. There are a lot of pressures on schools, teachers, their time and resources. There are some excellent projects out there. Ideally these could be rolled out across our country (and the world?! ), but funding is forever tight so for now, I won’t build my hopes too high. However, 30 Days Wild itself could take youth engagement a step further. Next year, maybe we should plan to particularly engage this age group with the campaign? Get the message into the magazines they read, get the celebrities they like to become involved, contact the community groups used by these ages – just a few ideas off the top of my head. The lack of engagement by these youths and adults is one of the many reasons why groups such as A Focus On Nature, a network of young conservationists, are so vitally important and wonderful. As well as connecting young naturalists with each other, they allow us to become self-assured in ourselves, our abilities and our knowledge –and that actually, nature is cool. As a result, I feel more confident to talk about how amazing nature is to my peers who aren’t into wildlife as I am. I know that others members of A Focus On Nature have felt the same too. Thus even though there is no solution to magically connecting everyone with nature, we are creating ripples in the pond, and I live in hope that soon this issue will no longer exist. So if you know a young person, or actually someone of any age, who isn’t connecting to nature, why not create ripples of your own? You can follow Megan on Twitter and read her blog here. There has been much controversy and discussion surrounding BBC Wildlife Magazine‘s “The Wildlife Power List” in this month’s issue – who should have been on there (but wasn’t), the ratio of females/males, the use of the word “Power”, the use of ranking rather than listing, etc etc. I congratulate you on including conservation news stories/a story on your website by writing about the BBC Wildlife Magazine’s “The Power List”. On the whole, conservation and nature are often ignored in the media; or worse, awful scare-mongering stories are the stock in trade (e.g. the majority of false black widow spider stories in 2014). However, I am concerned by the content of the article in question. First, your main title lists three of the men included on the list. True, they are all well-known for their contribution to conservation and they are all high on the list. However, it is only in the short paragraph below that you mention the #1 on the list, Jane Goodall, who is female. I am confused about why the list’s winner is not featured in the title. 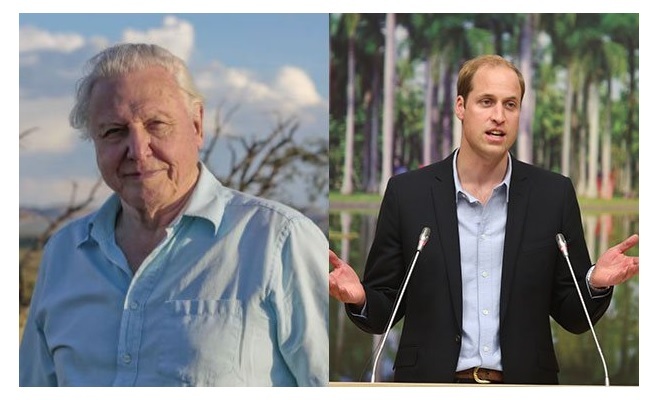 Second, and continuing on the main theme, your photos just below this are of David Attenborough and Prince William, who are both wonderful and inspiring; but again they are both male. Where is a photo of Jane Goodall? Some people will say I am reading too much into this and you did this unintentionally. But this must have gone through various editorial decisions, so it can’t be unconscious. There is already an imbalance in the ratio of men to women in positions of power across society, and the same is true in conservation, STEM (Science, Technology, Engineering and Mathematics) as a whole and countless other areas. Their portrayal in the media is not just a symptom of this but is also a driver of it. Reams of evidence show that people’s attitudes and perceptions are, in part, affected by the media they consume. Your (perhaps unintentional, but I doubt it) portrayal of “The Wildlife Power List” is yet another example of this type of sexism, and I am very disappointed in the Radio Times as a result. I hope that you address this in future, and perhaps change the article as it currently stands. This post originally appeared on A Focus On Nature‘s blog as part of their #VisionforNature series in the run-up (and just after) the general election 2015. Amongst the questions asked to prompt thoughts were: What do you want the natural world to look like 2050, and how do we get there? What is special about the relationship between young people and nature? I was incredibly honoured to be asked to co-ordinate this series of blog posts, and associated social media promotion, and it was greatly inspiring to receive so many fantastic pieces of writing from a variety of AFON members. I had originally thought I would write about engaging people with wildlife for my topic – after all, that’s what I do with my blog and my paid work. However with the Tory win for the election, I took inspiration from others (such as Georgia Locock and Matt Shardlaw) to look at their manifesto and what their win would be for wildlife and their environment. So the votes are in, and the Tories are here to stay for another round. Whatever your views on this, at least we can all take a moment to breathe a sigh of relief that all that election bumph is over … until next time. Right then, back to business. I will start with laying something out clearly – I am not going to analyse these political results too deeply. After all, they say to write about what you know, and I am very much a beginner when it comes to understanding politics. However, I will try to get my head around what this means for wildlife and our environment. I do hope it won’t be too depressing to read. To begin, I shall refer to Georgia Locock’s excellent post on her own blog where she analyses the different manifestos offered up by each main political party – and let us look specifically at what she found for the Conservatives. Here’s a link to their full manifesto. There are some positive actions in that list, I’ll give them that. I am thrilled that they are supportingcharging 5p for plastic bags. In Wales, this has been in place for a number of years already and is proving to be very effective (note: that link doesn’t provide very recent data). Of course, I would like to see further actions taken – ultimately a ban on plastic bags, but that is a long-term goal and the 5p charge is a realistic and feasible step in reducing plastic usage / waste. I am encouraged by their aim to tackle international wildlife trade. I’ve been to South Africa and watched in awe as elephants and rhinos have wandered past on their daily business, these animals are magnificent and wondrous – but they are dying in their thousands. I hope that the Tories also plan to focus on the less well-known animals being trafficked – lorises, pangolins, birds and more. These species also need our help. I’m intrigued by their Blue Belt plan. However, considering that the last government failed to fully implement the Marine Conservation Zones, designating only 27 when many more were actually recommended – I don’t hold out high hopes for our marine areas and associated wildlife to receive the true protection that they need. Ok, I’ve had enough of being positive … time to look at those actions which make me wince. Although wince is a mild word – more like they make me want to shout at people and hit cushions in anger! Opportunity to repel the Hunting Act?! What on earth are they thinking? Do they have no compassion for our wild animals? Don’t get me wrong, I do support some hunting – i.e. when it is (a) needed in order to feed people and (b) done sensibly with minimal distress to the animal. However, I don’t believe it is that hunting foxes, chasing hares, or using dogs is acceptable. To me, it is just cruel and morally wrong. Then there is going ahead with HS2. There are a variety of reasons why I don’t agree with HS2 – the demolishing of listed buildings, damage to the chalk aquifier system (and thus affecting water supplies in North London, which is where I’m from!) and so on. The main reason I don’t agree is that the HS2 proposal threatens 83 ancient woods (according to the Woodland Trust) – cutting straight through the heart of some woodlands. I am a big fan of ancient woodland, these habitats are rare and wonderful, full of spectacular species. There is no point in discussing biodiversity offsetting here, one’t can replace ancient woodland by planting new trees – the clue is in the name! Ancient woodland is ancient! Also, by supporting the HS2, they are surely contradicting their pledge to keep forests in the trust of the nation? In the UK badgers are one of the most protected species under The Protection of Badgers Act 1992 however they are the most persecuted. I’m sure that we are all in agreement that something does need to be done to tackle the issue that is bovine Tb and it’s terrible effects on both the cattle and farmers. The scientific evidence suggests that culling badgers is not the best way – in fact, it could lead to worsening the problem. Why do the Tories support this action which will actually result in a worse outcome? It just isn’t logical, and whilst we waste time and money on it, numerous badgers are suffering as a result, often inhumanely. We need to use common sense and our morals here, listen to the evidence and act accordingly. In my own opinion, formed from what I have read, I believe that increase biosecurity measures and vaccination programs are the way forward. I would quite like to write a bit about the Conservatives views on hen harriers here … but aside fromprotecting shooting, hunting and fishing as previously mentioned, I am not sure what they are. I know I haven’t covered everything – unfortunately there is just so much to worry about! Declining pollinators, climate change (and all that relates to it), nature deficit disorder, pollution of water sources and more. To write about all of them would take an awful long time, more than the hours I have available today. Let us be honest. Overall, it is all rather depressing. As an eternal optimist, that is quite a hard thing for me to say. There are hints of good things occurring, but it’s just not enough. We need to mobilise ourselves and make sure that our wildlife, our environment and our natural world as a whole are protected. And by “we”, I don’t mean just the A Focus On Nature network. I don’t even mean just conservationists and naturalists. By “we”, I mean everyone. We all need to get involved. It’s a big ask I know, and likely not realistic, but I like to dream big and optimistically. How do we go about doing this though? How do we go about getting our voices heard? I am afraid I don’t have the answers – I’m still learning about politics and campaigning, it is going to be something I discover in the next couple of years, you can be guaranteed that I will try my best to get my voice heard (if you’ve met me in person, you know that I am not exactly quiet/unopinionated!). We need to let the politicians know that they, and society as a whole, will suffer if they make bad decisions. Our Vision for Nature blog series is just the beginning. The Vision for Nature report is coming together, the material from the focus groups, surveys and more is being collated and analysed as I type! Of course, we will be sending it the government and making sure that they know we are determined to protect what belongs to us all. It is going to be a challenge and a half, but I accept that challenge, do you? UK wildlife lovers and conservationists have a choice. We can moan for 5 years resulting in nothing. Or work harder to create change. Five years to fight hard for wildlife. Tories – we conservationists will never ever, ever give in. Wait till you meet @AFONature. Hm, it seems that the general election has inspired me to write! As well as writing my Vision for Nature blog post, I’ve finally got round to writing an e-mail to Red Magazine concerning some thoughts of mine on their recent issues. I know that there are more articles on the website (I particularly like this one about Political Women To Watch in 2015), but in the e-mail, I am just writing about their magazine. It’s not a perfect e-mail and, having sent it, I can see where I could’ve expanded my views or written more clearly. But the point is, I’ve done it. I always say I’m going to write a letter/e-mail about my thoughts (be it customer service, pot holes, etc), but aside from TripAdvisor reviews, this is the first time I’ve actually done it! Concerning one of my favourite topics – conservation! And what with the election just now, the minimal mention of politics in their magazines! I wonder if they will respond? I’ll keep you updated of course! First and foremost, I would like to congratulate you on your Anti-Apathy feature in May’s Issue. As a young woman in my mid-twenties who is keen to help make the world a better place, it was inspiring to read about such fantastic role models. Nature and environment are intricately linked to humans – mental wellbeing, economic growth, and so on. I feel that conservation should feature more in Red overall if I’m honest. For one thing, many readers will have children, and our most recent generations have been suffering from nature deficit disorder. Onto a separate issue, I was very disappointed by the minimal amount of politics in your recent issues. We’ve just had a general election! Whilst I’m not saying your whole magazine should have been devoted to politics – there should’ve been more discussions on each parties views on the matters close to your readers hearts – housing, maternity leave/rights, etc etc. I look to Red as a magazine with interesting articles, but recently I feel it has been lacking and I hope that you up your game. I could write more about the lack of technology featured, the language used to describe women (the descriptions about Christina Hendricks’ body when it wasn’t being discussed by her! ), my personal view on the excessive amount of advertising (mostly on brands and objects – when you’ve recently featured an article on not spending money on objects! ), but I feel that they are for another time. Note – Red Magazine do have an online article on the Conservatives Manifesto (though no mention in the article about the environment, hmph!). I hope that something similar (with nature/environment included) appears in their next issue! !